We provide technical support and equipment for corporate event planners and venues in London in the conference industry. From very first contact we will listen to your needs, establish your requirements then advise on and design the most appropriate technical setup for your event. There’s no need to worry about technical jargon or knowing the right kit – we’ve got it all under control. From very first contact we will listen to your needs, establish your requirements then advise on and design the most appropriate technical setup for your event in London. There’s no need to worry about technical jargon or knowing the right kit – we’ve got it all under control. We’ll ensure your presenters have the best possible stage to perform at the highest level, inspiring your audience with an experience that’s second to none. 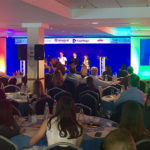 With our wealth of experience from hundreds of successful conferences and live productions, we have the know-how to provide your organisation with the right solution, delivering you a stress-free event. We want your team to walk into the room and be blown away. We’ll create the professional, unified environment which your event deserves. Your presenters will have the opportunity to shine, your audience will stay captivated and your message will be heard. Our use of industry-leading technology guarantees that audio is always crystal clear, images always pin sharp and lighting creates atmosphere and focus right where it’s needed. People make live events and we only use the best. Our pro-active technicians are fully qualified and at the top of their game. Because your event is our business, we go above and beyond to make your show run smoothly. We want to make your job as easy as possible by taking care of the tech. Helping present to the audience as clearly as possible, so everyone can interact. Together with you to ensure its all taken care of, for when its showtime. We understand how important it is for your event to make the right impression. Our comprehensive equipment inventory combined with experienced technical staff enable us to achieve results to the highest level of accuracy. Clean, crisp, strong and clear – that’s how we like it. Whatever your message, we’ll focus your audience to hear every word. Be it large projection screens or free-standing plasma TV’s, we’ll help you choose a video system that ensures your whole audience see’s the big picture. Need cameras? No problem. Let us film and create a video of your event or relay live cameras onto screen. We’ll give your company or organisation the chance to really show itself off in front of a great looking backdrop. Your presenters will take to the stage in the knowledge that all eyes will be focused on them. 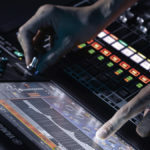 Powerpoint, Keynote and video playback are cornerstones of live events. With our inside-out knowledge we’ll help put your show together in the best possible way. 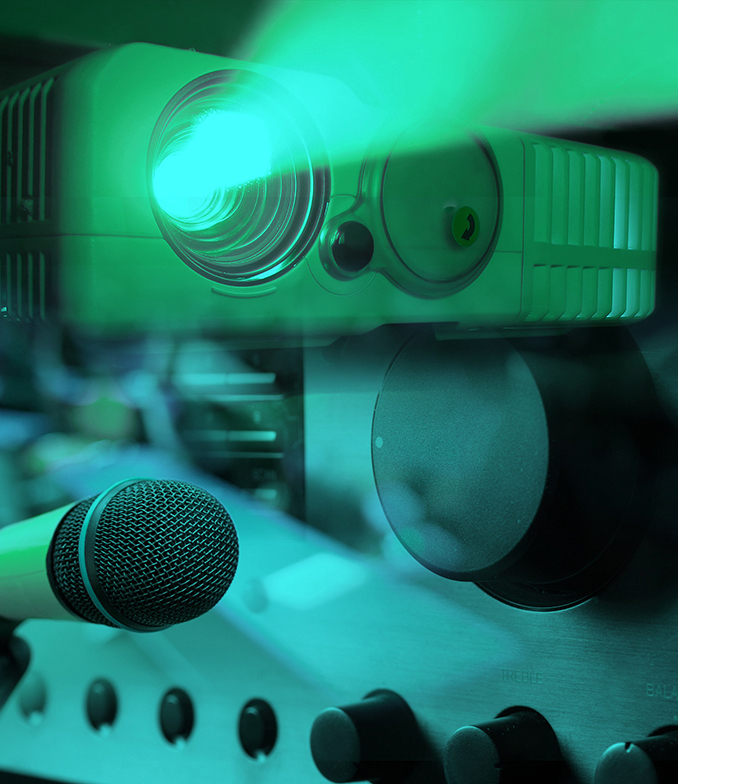 We have the capabilities to provide long-term AV support to venues across London. Our partners choose us for our friendly, professional approach, our use of first-class equipment and our high level of technical expertise. Often overlooked but never by us, we understand how lighting can animate your event and bring your presenters to life. We can enhance the look and theme of your stage set with bright vivid colours or create a subtle mood throughout the room. Just a quick Thank you for all your hard work yesterday, the event went really well and it was noticeable to me how smoothly the AV went. Thanks again and hope we can work again in the future. Thanks again for making last Thursday’s event look so slick and for transforming the venue! We’ve had such great feedback and it was fun to work with you again. Thanks so much for all your help yesterday, you really made life so much easier for us and being so flexible with things like relay screens was invaluable to us - we really appreciate it and have had great feedback from a lot of people. Massive thank you to you and the team, as ever you have proved your worth. Excellent job to you all. I wanted to thank you for all your help and support!!! You are amazing!!! I really want to work with you on my future events!